Somewhere in its ongoing ascent into omnipresence, EDM became more about volume and less about the one thing it was precision engineered to cultivate: Celebration. But Henry Fong has never veered from the imperative to make revelry as sonically florid and kinetic as he could. With releases under the most tastemaking houses in contemporary dance music – OWSLA, Ultra, Dim Mak, Spinnin, Revealed – he’s emerged as an upper-echelon rabble rouser with a payload that includes reggae and dancehall in its pleasure centre-destined thrall. Before his headlining stint at the upcoming Skechers Sundown Festival, he spoke with us about his party-blasting ways. Where are you now and what’s kept you busy lately? Hey guys! I just got back from Miami Music Week, the other day, and I’m recovering a bit and finishing up more music in the studio, as well as doing some jiu jitsu and surfing for exercise, too! 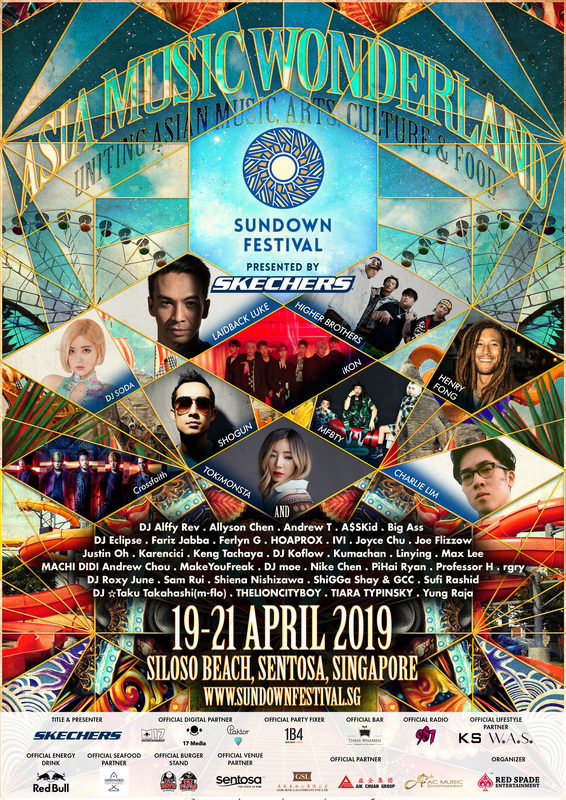 You’ll be headlining the Sundown Festival in Singapore soon. What’re you looking forward to the most about playing here? I love the crowds in Singapore! I’ve been coming there for four years now and the crowds always seem to be ahead of the rest of Asia. They are so open-minded and dialed into new styles! Congrats on your new banger ‘Pica’! Thanks! Deorro and I have been talking about making a song for a while, now, then I finally saw him in the airport, one day, and we decided to make it happen ASAP. I had been messing with this merengue Latin loop and passed him the project. Then, he got Elvis Crespo on it! You did a fantastic remix of Bad Bunny and Drake’s ‘Mia, too. Tell us about your take on the song. Over the last two years, Latin trap and reggaeton have come to take over pop music. Do you see the same thing happening to the EDM world? Yeah, definitely. There are a few of us within EDM pushing the sound and it’s becoming a really cool sub-genre. It's called "Global Bass" or "Tropical Bass”. What must a song have for it to be to remixed by you or included in one of your sets? For the remix, I just have to love the artists or the original song. Also I try to choose stuff I know fits well with my style, like when I did the ‘Mi Gente’ remix. This long into your career, what still excites you about playing shows? For me, playing shows is still just as fun as it was six years ago when I started touring! In a 2016 interview, the Singaporean DJ MYRNE said that he received some words of wisdom from you. What do you think is Asia’s place in the larger universe of dance music? Him and I played this wild show in Mongolia and it was great to hang out with him. Asia is such a big place, and dance music has only just been starting to go the last two years in the biggest country in the world, China. I’m curious to see how it plays out in a few years: I think you’re going to have some really big Asian DJs in the market that dominate, like K-Pop artists in Korea! Overall, though, it’s cool to see the excitement over there. People in the West are a little bit jaded about EDM. Lastly, what are your hopes for the rest of the year, musical and otherwise? Just to keep pushing the global bass sound within dance music and really focusing on building that world for my fans. Also, I’ve got some really dope collaborations coming out!